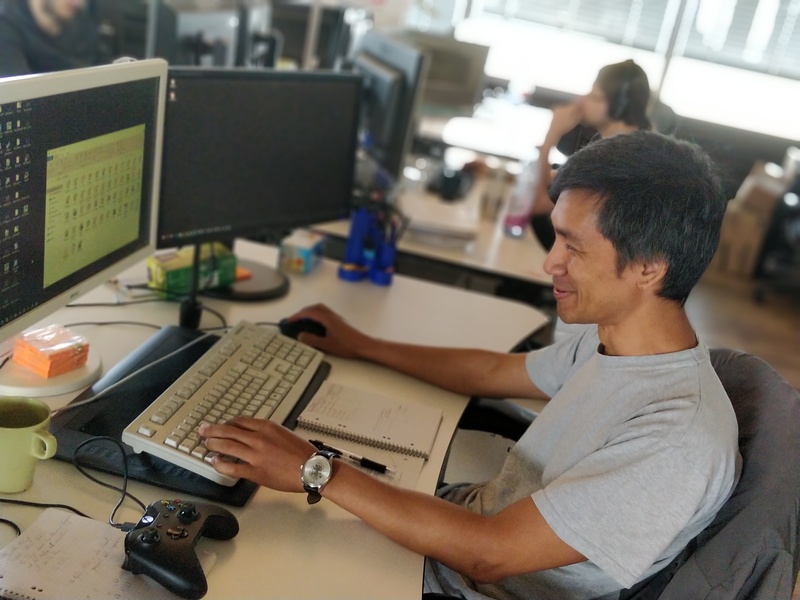 Danny Man is just one of the members of our team who is working every day to make CRYENGINE the best it can be. He’s also one of the authors of our recently updated free CRYENGINE 3ds Max Utilities package and you can find out more about what that tool can do for you in today’s feature. Hey Danny! How did you end up joining Crytek? Danny: I joined Crytek three years ago as a Technical Artist. Before joining Crytek I worked for a motion capture studio, and three game studios: NuClearVision, Deck 13, and Ubisoft Mainz. I have worked on a number of games including Psychotoxic, Venetica, Anno 1404 through to Anno 2205, and a few other unpublished projects. I have performed a few different roles in my career, including animator and character modeler. What are your most satisfying moments working at Crytek? Danny: I think it’s the freedom to write new tools which improves the CRYENGINE pipeline. It’s also really satisfying to provide solutions for our external licensees and our internal game development team. Danny: Answering emails and addressing any issues there might be, solving problems, and supporting my colleagues! At the moment my main focus is writing MaxScript tools and also doing modeling stuff and animation retargeting. You've recently updated the free CRYENGINE 3ds Max Utilities package. How does the tool help users and what improvements arrived in the update? Danny: The MaxScript tool contains a large collection of functions to make the export of characters a bit easier than before and it has been used to improve the workflow of internal projects at Crytek. We had received questions and queries from the community about how to import characters from animation software like Mixamo and iClone. And importing existing animations into CRYENGINE can be an issue for aspiring CryEngineers, so it was an area that we needed to address both internally and for the community. Previously the tool was mainly about exporting CAT rigs/characters but now the functionality has been extended to cover “normal” characters with standard bones. The most important new features in the latest update are the reorienting rigs and redirect global animations. But you guys should take a look at the change list included in this tool :). I would like to take a moment to thank our community. To make sure we were on the right track, I asked some folk in the CRYENGINE discord channels to beta-test the new features in the tool and that feedback was invaluable. I’d also like to thank community member Vinnie MC who went even further and created a tutorial video for the tool. In the coming weeks I plan to address the issue of animation retargeting to any custom characters which should mean CryEngineers with access to 3ds Max and MotionBuilder will be able to accomplish retargeting offline. Watch this space. Danny: The most important aspect is to know the workings of the most common 3D programs used by artists. This will show you the strength and weaknesses of the pipeline, and the tools you should write. What are you most looking forward to coming to the engine? Danny: Looking at the roadmap, the most exciting thing for me personally is the Visual Editor for behavior trees and the animation retargeting, as my main focus is character animation. Danny: Currently I am trying to catch up with some PS3 games which I bought but never finished. My favorite game of all time is Sid Meier’s Pirates! I also love The Last of Us, Witcher 3, GTA3, and GTA V.
We’re on the hunt for fresh talent across our teams, and across different disciplines, so if you fancy a new challenge or taking your first steps in the industry, check out our careers page. As ever, we welcome your feedback, so we look forward to your comments, insights, and ideas on the forums, Facebook, and Twitter. Yes, it will be great to see a blender addon. Don't forget about indie devs with a small budget. &quot; Visual Editor for behavior trees and the animation retargeting&quot; Well that would be a spot on !